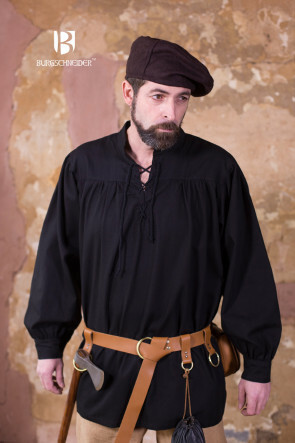 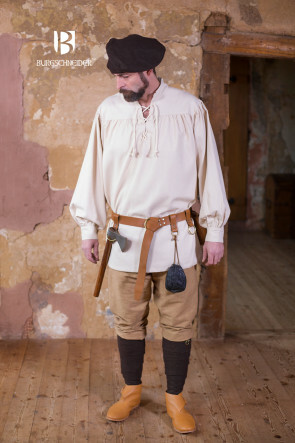 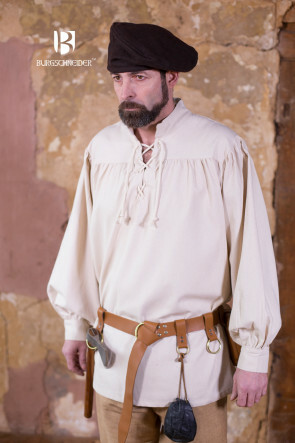 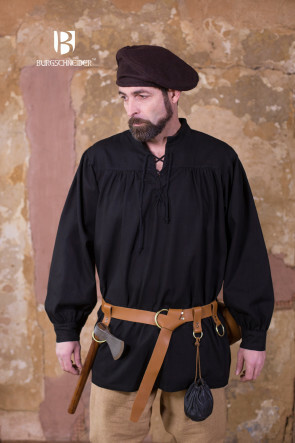 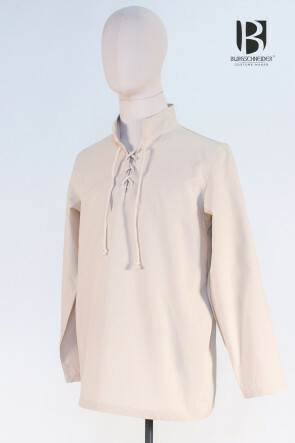 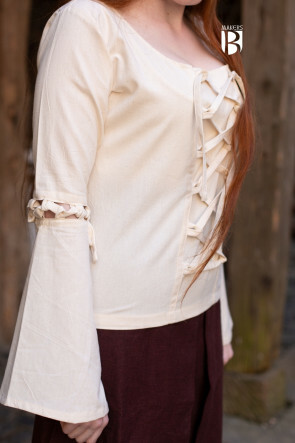 The configurable finds of medieval shirts show different collar shapes and necklines. 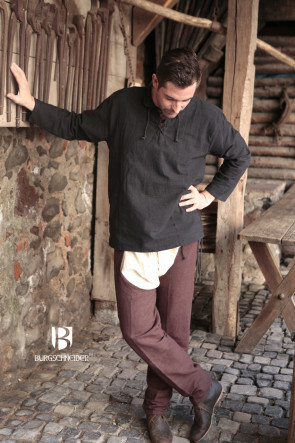 While the Viborg shirt got a lacing, the Skjoldehamn shirt shows a simple v-neck and reminds more of a tunic. 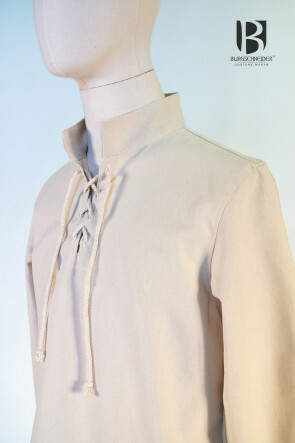 On the viborg shirt were incorporated two vertical slits on the underside to ensure the freedom of movement. 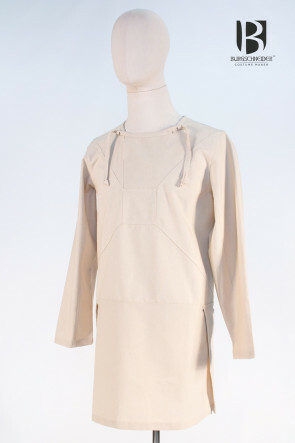 At the find from the skjoldehamn one it works for the same purpose with sewn wedges. 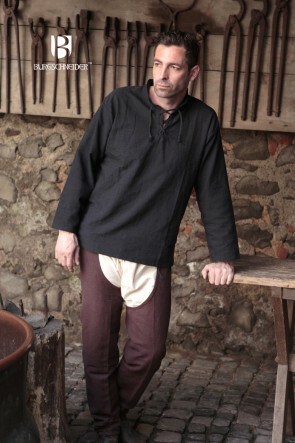 Already in the given of the two finds with complete different textures one can assume that the wealth of the variants sets no limits. 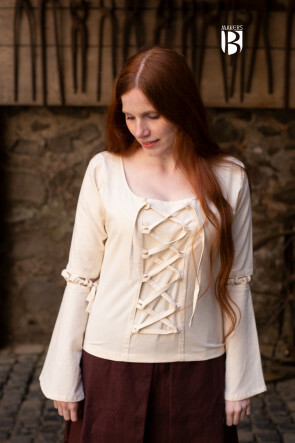 With our models of medieval shirts we try to apply a large amount of variants to reproduce the different epochs of the middle ages.